1. Things started off with a repeat of the video we saw at WWDC. Nothing wrong with that, but it seemed more like "Me, Apple" talk rather than the usual "You, User" videos we are used to seeing. The video is great for a developer conference, but could have been put aside for an announcement event. We do see a couple of user centric videos later in the event though. 3. A million apps. 60 billion app downloads. $13 billion paid to developers. Apple has a good thing going with the App Store. App discovery is a real problem now and I had hoped Apple would do something about that. No luck on that front. 4. Mavericks recap and demo was really good. Craig Federighi has made a name for himself presenting at these events. 5. Apple is the only company that puts in decent efforts on improving performance of already sold hardware. Increased performance and improved battery life are a gift to the people running old hardware. This is a case study in brand building, customer loyalty and retention. Apple's effort to improve performance, battery life and graphics through a software update is commendable and unprecedented. 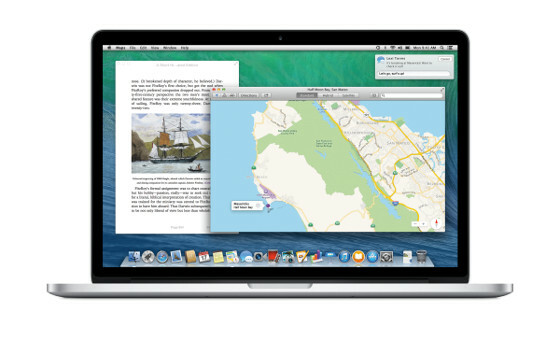 6. iBooks and Maps app come to the Mac. A tighter integration between OS X and iOS rewards loyal Apple customers who run both of the operating systems. 7. Working on the Mars project, responding to a personal message during a live demo, add a fantastic touch to the demo. Nobody understands their users more than Apple. And they are gutsy enough to show this. Clearly when hiding behind the spec sheet is an easy way out. 8. Mavericks is not free, but a free update. Not being cynical here, but that is true. OS X update pricing was on a free fall anyways. Getting most of your users onto the latest and greatest software is very beneficial, something Apple has learned from iOS experience. This is in contrast to Microsoft, who relies on OEM OS license sales for its revenue. And, making older hardware better through a free software update, is a blow to the gazillion Android devices that get obsolete within months of release to the market. 9. Mavericks gives you a feeling of the impending integration of the two OSes down the line. OS X is waiting at number ten, running through all California location names, patiently waiting for iOS to catch up to release 10. I am not a betting man, but I would be willing to put down a decent wager for that to happen. 10. Supporting hardware as old as that sold in 2007, is a fantastic effort for which Apple needs to be applauded. Kudos fruit company. 11. Price drops and spec upgrades on the new MacBooks is a welcome move. For me, 11-inch MacBook Air is the best laptop out there. It is interesting to see that their is a $100 price difference between the 11 and 13 inch Air, but a whopping $700 difference between the 13 and 15 inch MacBook Pros with Retina display. 12. Mac Pro is not of much interest to me, except that it goes to show that Apple still does a lot of things because it likes doing them, not optimizing on markets or product lines. 13. Eddy Cue's rock poster in Pages was a surprise. Normally, you expect Apple to take on something the users can associate with. What makes this even weirder was that Eddy was not the guy making the poster. 14. iWork going free was not a surprise. Apple's productivity suite has a good following in its own community. If free productivity software helps Apple sell more hardware then so be it. Its not that more people will buy Macs now that iWork is free. Most probably, more people will stay in the Apple ecosystem because of the free software. It would have been great had these apps been made available to existing Mac customers as well. 15. It would have been completely OK to disclose that a few features did not make the cut, and the new versions are not at feature parity with the older apps. And running out of time is not an excuse Apple can make. The power users found out pretty quickly, especially since the apps were made available on the same day as the event. Maybe everybody is due a slip once in a while. This furor could have completely overshadowed all the other goodies Mac users got in this release. I am sure a few people would have moved camp to Microsoft's Office, as a wait for the regressed features is not practically possible if you have a presentation to make. I do not think there will be any impact of this move on sales of Microsoft Office on OS X (for new Mac customers). 16. With 170 million iPads sold. Apple is leading in tablet usage share and customer satisfaction ratings. I think we have just begun in this form factor but the iPad has already had a devastating impact on notebooks and PC sales. And they are definitely used more. My parents for one, see no need to power up the desktop/laptop at home now, with the iPad at their disposal. 17. The iPad Air and iPad Mini with Retina display are awesome. Making the iPad Air thinner, lighter and faster without impacting the battery life is MAGICAL. New colors were a nice touch, providing a physical differentiation to the new devices. 18. The last generation is sticking around, with a price drop. Not by much, but it breaks the psychological barrier of $300. And helps Apple cover more price points. New covers help beef up the margins. 18. The iPad 2's perseverance in the lineup is very surprising. And it is the only iPad with a number against it. iPad Air, iPad Mini with Retina, iPad Mini and then there is iPad 2. And I believe atleast the dock connector on the iPad 2 could have been updated to ease cable hell. 19. The "Air" monicker is apt for use with the new iPad. 20. The fact that Apple has the same specs on iPad Mini with Retina and iPad Air, indicates that Apple thinks the customer categories do not overlap due to the form factor. They could have easily gone in for some harder differentiation, but chose to get all the latest chips across the range. This consolidation is a pretty good tell that something new is in the pipes. God knows what. 21. The new iPad Air ad is good. "Assembled in China" is conspicuous by its absence at the back. All images courtesy of Apple, Inc.